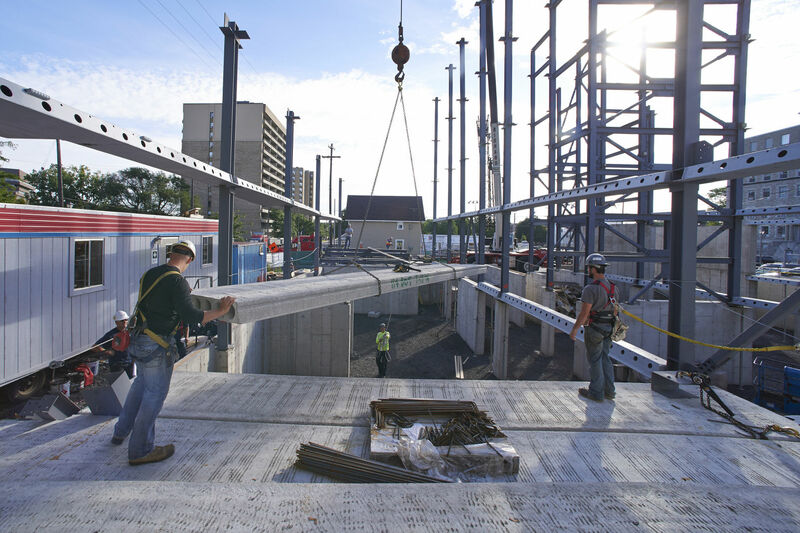 The new DELTABEAM® building system was used for the first time in Ottawa, Ontario. For this multi-storey apartment project, DELTABEAM® provided a considerable advantage: increased design flexibility. Among other features, the building incorporates an architecturally challenging façade, complex geometry and a slim floor structure requirement. ’DELTABEAM® solved many of our design challenges: the system enabled us to minimize the depth of our structure’’ explains Leonard Koffman, lead architect for 80 Bolton. 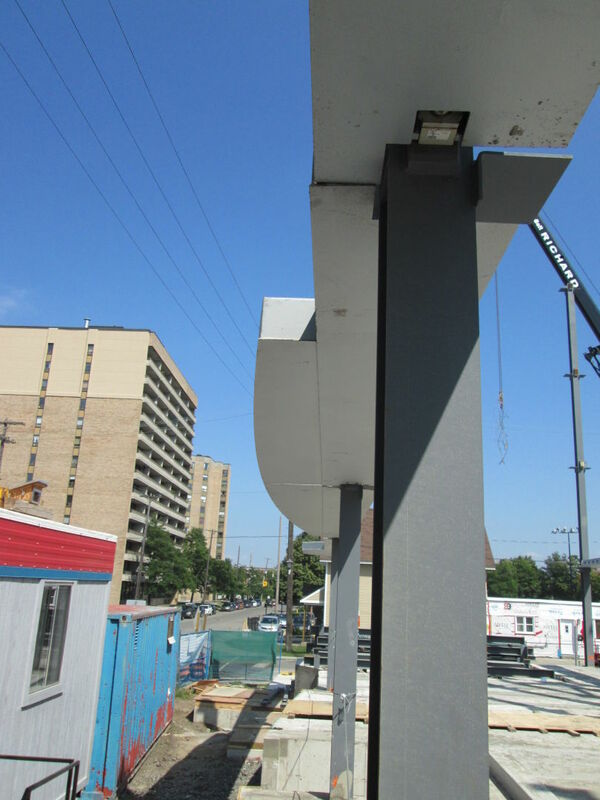 Indeed, DELTABEAM® is designed to fit within the precast floor. Hollow core slabs land on the bottom plate of the beam, which allows the floor structure to have the same thickness throughout. In the case of Bolton, the uniform floor depth is 8’’ + 2’’ topping. One of the key partners for this project was Beaudoin Construction. 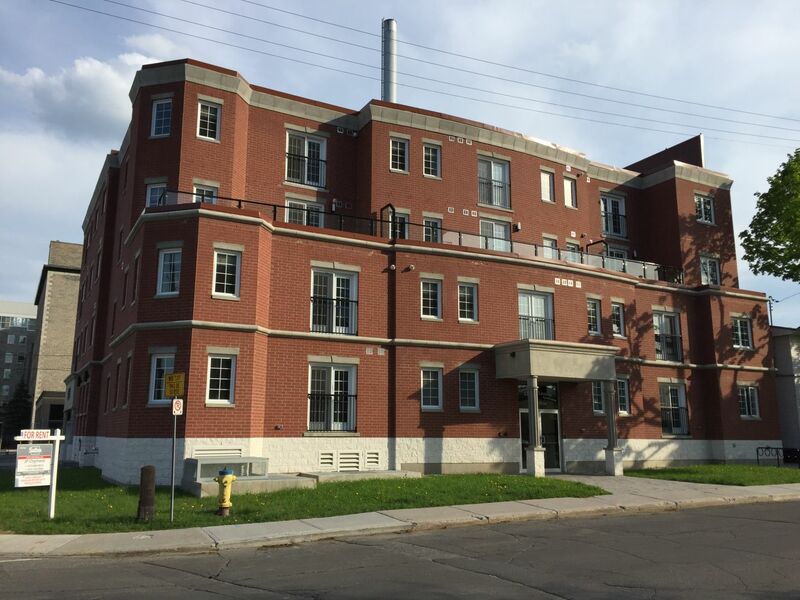 Beaudoin shined on Bolton street through rigorous project management and focus on customer satisfaction. 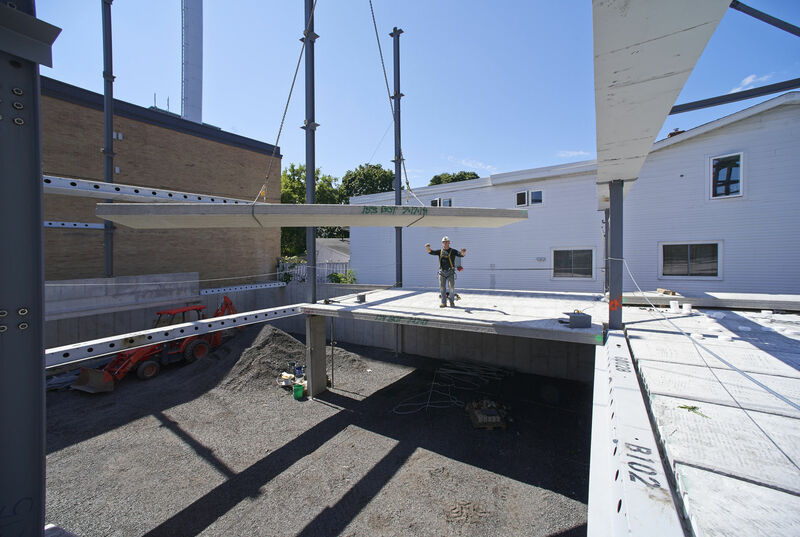 ‘’ For Bolton, we wanted to increase the speed of construction with a concrete structure ’’ states Denis Stocker, VP Business Development at Beaudoin. 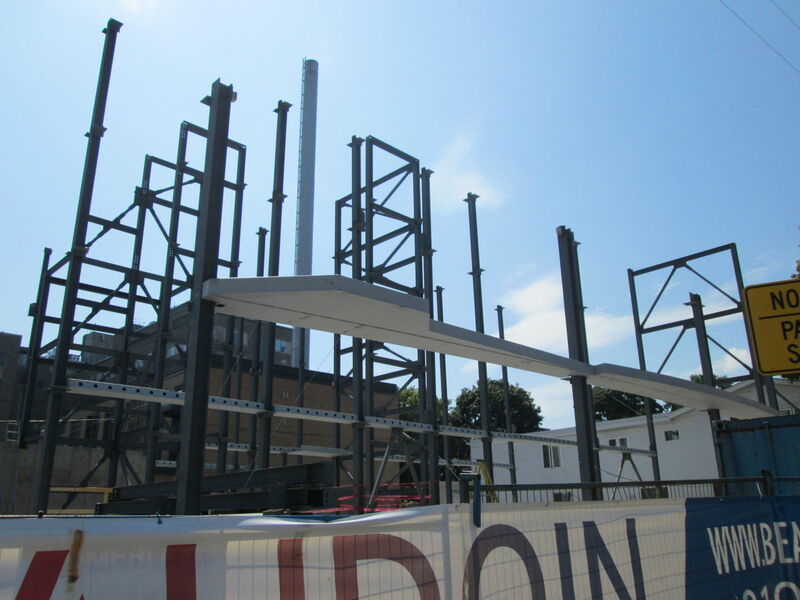 ‘’ With DELTABEAM®, we were able to deliver a quality structure built within a tight schedule’’. A hollow core structure is quick and easy to install. 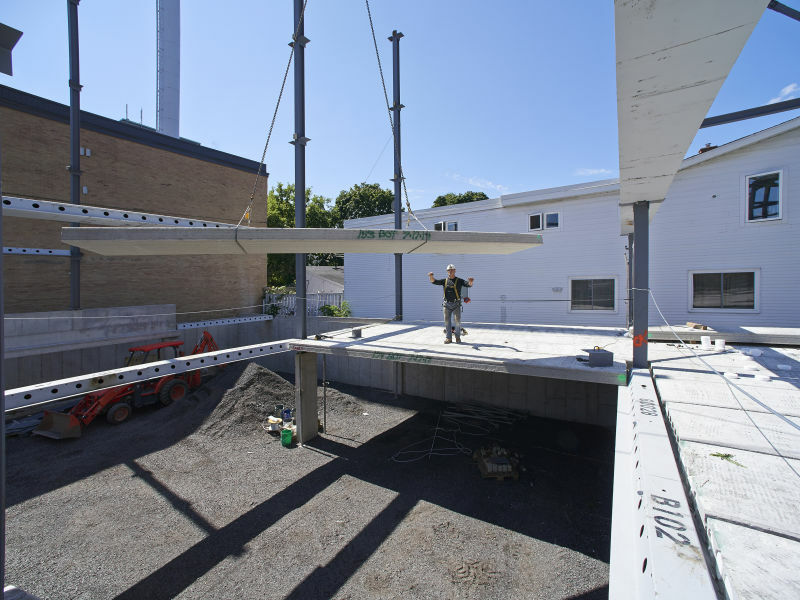 With minimum concrete poured at the job site, this structural system is mostly produced at a precast plant and simply lifted into place onsite. While speed of construction is second to none, hollow core sometimes faces one major challenge: design flexibility. 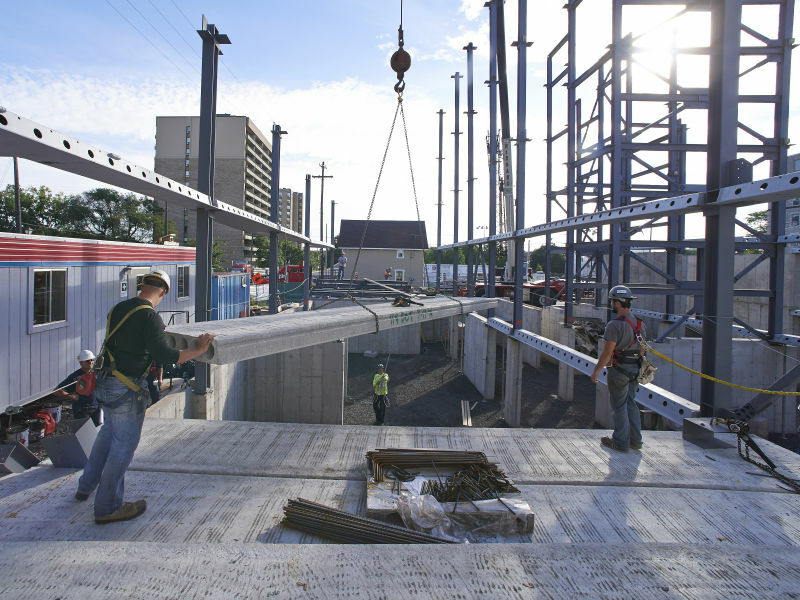 On the Bolton Street project in Ottawa, DELTABEAM® made it possible to take advantage of the increased speed of construction of hollow core while maximizing design flexibility. 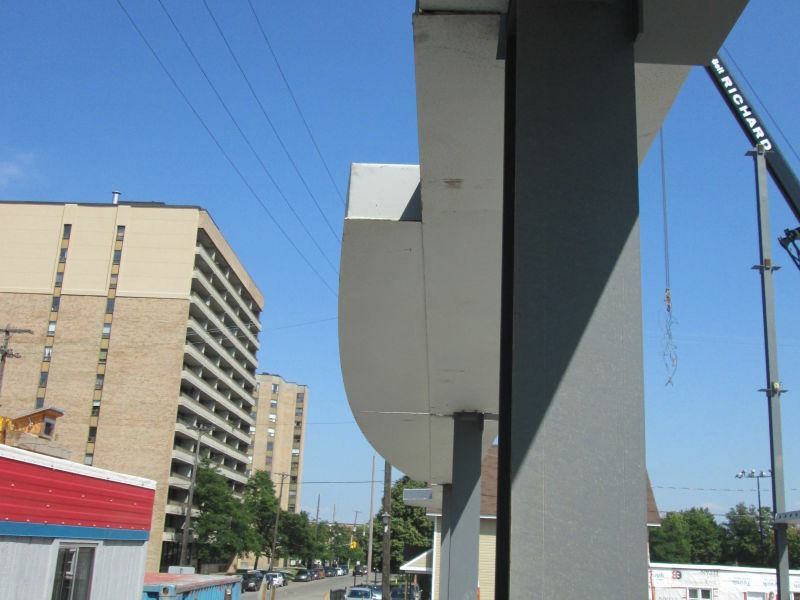 The architecturally demanding facade was achieved through the cantilever of the DELTABEAM®. 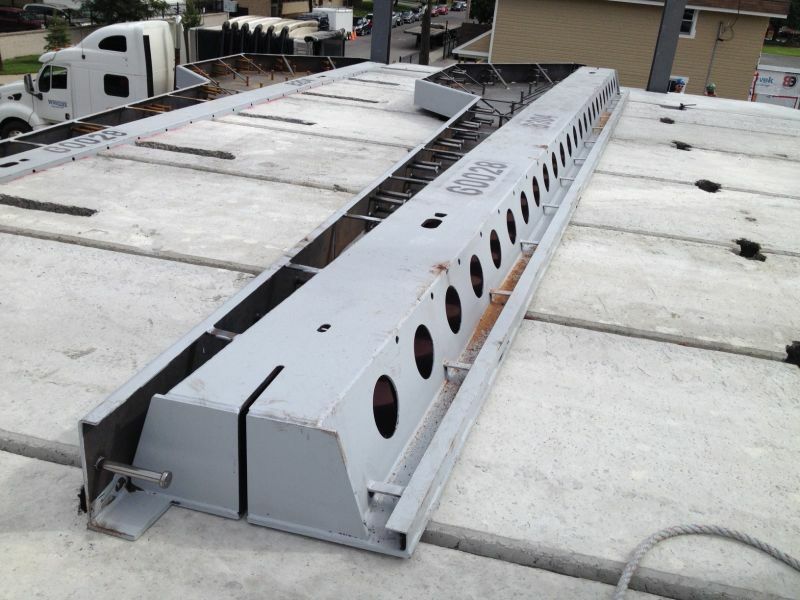 The complex geometry of the building (set back on the third level) was managed with DELTABEAM® transfer beams. 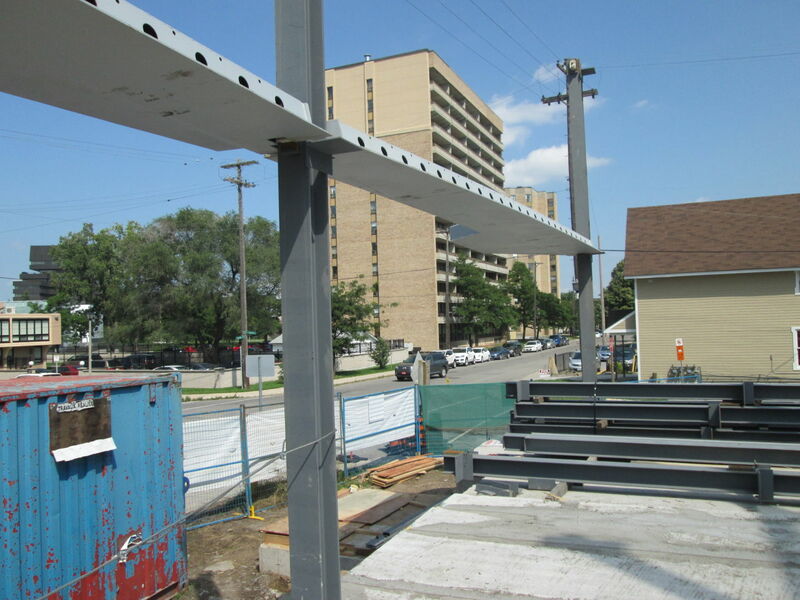 "With DELTABEAM, we were able to deliver a quality structure built within a tight schedule"